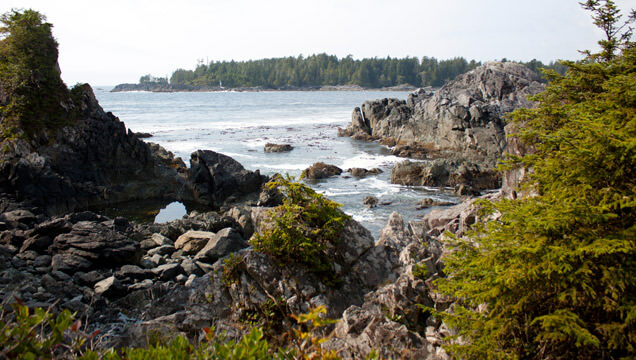 The famous Hot Springs Cove is found in Maquinna Provincial Park on Vancouver Island at the north of Clayoquot Sound. Enjoy a walk along the 2km boardwalk through the rainforest to the unspoilt, hot, mineral water,spring pools. In the mineral water there are various micro-organisms that could affect your eyes, ears and throat, and protective rubber soled aquashoes are recommended. The boiling spring water cascades down a small cliff into a series of rock pools and so the further you go down the cooler the water. At high tide the surf surges up into the lower pools creating a refreshing mix of hot and cool water. This tidal action also flushes the pools providing a natural cleaning system! 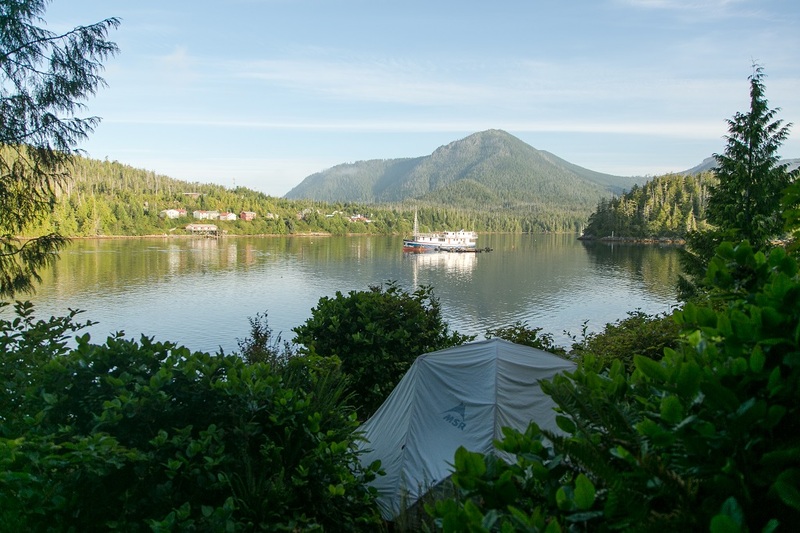 People come from far and wide to experience Hot Springs Cove. Have a hot shower and soak in the rocky pools whilst enjoying the mountain scenery. Look out for amazing wildlife whilst you soak. The hot springs are an entirely natural phenomenon. This small part of Vancouver is on a fault (an unstable portion of the earth’s crust) and is an outlet for the intense heat and pressure from deep within the earth to be released. The hot springs arise from surface water flowing through a fault in the earth’s crust to an incredible depth of around 5 km. The surface water is heated to a temperature of around 109 degrees Celsius and forced back to the surface by hydrostatic pressure, where the water is pushed through a fissure at about 50 degrees Celsius. Not long ago in 2015, the west coast of Vancouver Island was effected by a 4.8 magnitude earthquake. Luckily no property damage was reported, but worryingly, officials from the Hesquiaht First Nation community of Hot Springs (Refuge Cove) reported the hot springs were no longer hot, but distinctly cool. There was a panic amongst the many adventure companies who provide transport to and from Hot Springs Cove and of course all those visitors who regularly visit this beautiful natural wonder must have been saddened too. Luckily, nature was kind and within a few days the Hot Springs Cove was back to its normal, steaming temperatures. This natural wonder is open all year and can be reached by air or by sea. There is a one hour water taxi from Tofino and then a whole range of other packages available offering combinations of aerial sightseeing, camping, whale watching and kayaking through the Flores and Vargas Islands. The highlight being the Hot Springs Cove. 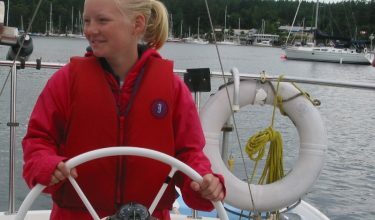 For those holiday makers who are on their own yacht charter adventure you will be able to moor up and simply enjoy the half-hour amble through the rain forest to Hot Springs Cove and enjoy a rejuvenating soak. Pick your time of year. In summer it can be extremely busy, taking away the enjoyment of the wonder of nature. If you have your own yacht try and go early morning or late evening when the tourist boats have left. On the way look out for sea otters, eagles , porpoises and black bears. Don’t rush the walk through the rain forest. The scenery is beautiful, take time to look at the flora and fauna. Canada at its best. Take a picnic and water. There are no food or drinks for sale and it will mean you can stay longer. Wear shoes that can get wet for scrambling around the rocks. Bring your swimsuit and a towel. Go to the toilet before you go. The toilets are composting long drops and can be a little smelly. The waterfall of hot water at the top can be very hot. Resist the temptation to immediately put your whole body under, you may be in for a shock.